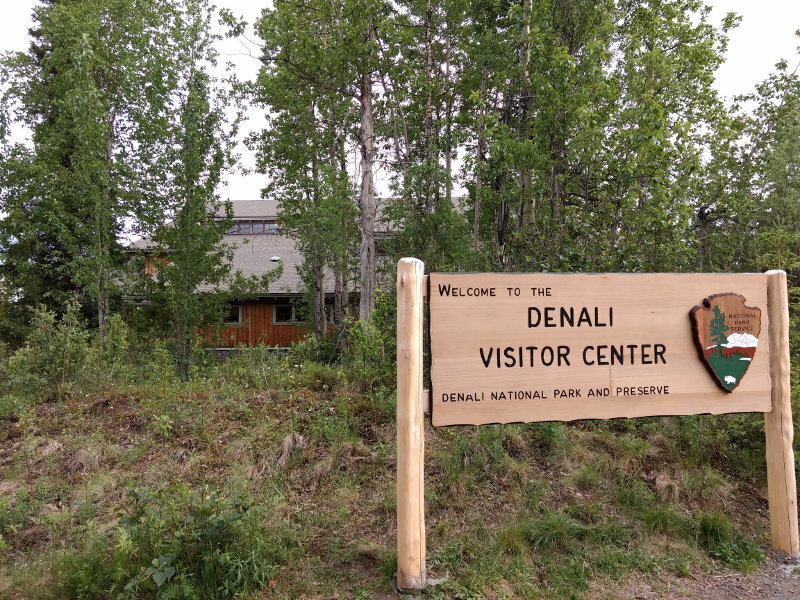 We were excited to arrive in Denali National Park & Preserve, and as with all the American National Parks we’ve visited, once again we weren’t disappointed. We had a late afternoon and evening, then a full day and evening in the park and it was just amazing. Somewhere we definitely would love to go back to. On arrival we got our Parks Passport stamped (!) 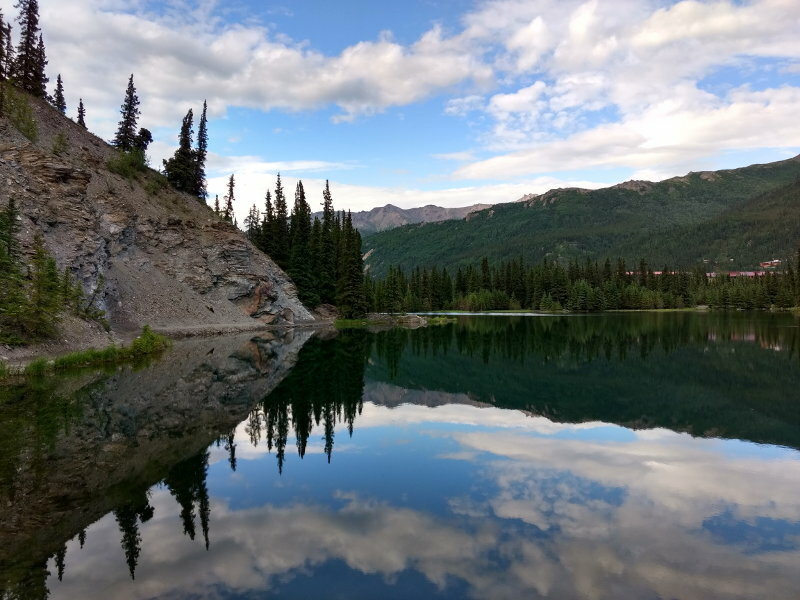 and paid our parks entrance fee, only $10 each valid for a week and needed if using the park shuttle buses, and made our way onto two very short trails – the Spruce Forest Loop and the Morino Trail. Both interesting and easy trails. The next day we walked the Mountain Vista Trail – a flat trail that went down to the river, with some great places to sit and then drove out to Savage River. 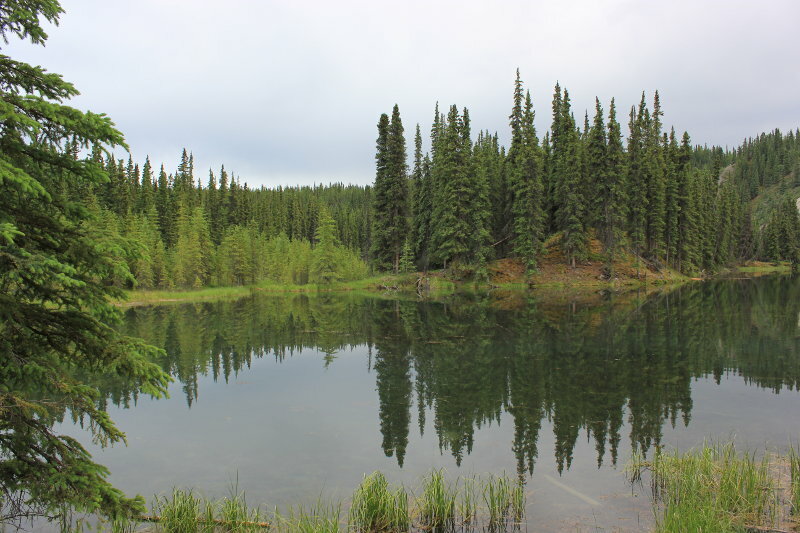 Later on we decided to do the Horseshoe Lake Trail which was stunning. The walk takes you through woods and then down to some beaver ponds where we were lucky enough to see beavers at work. 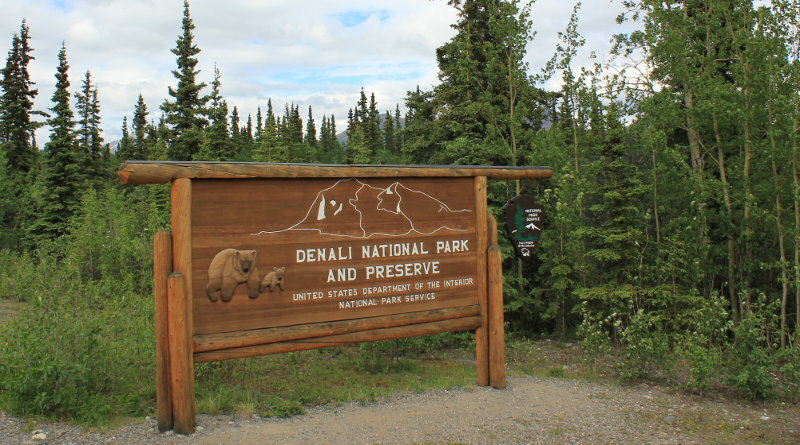 Horseshoe Lake Trail in Denali National Park. 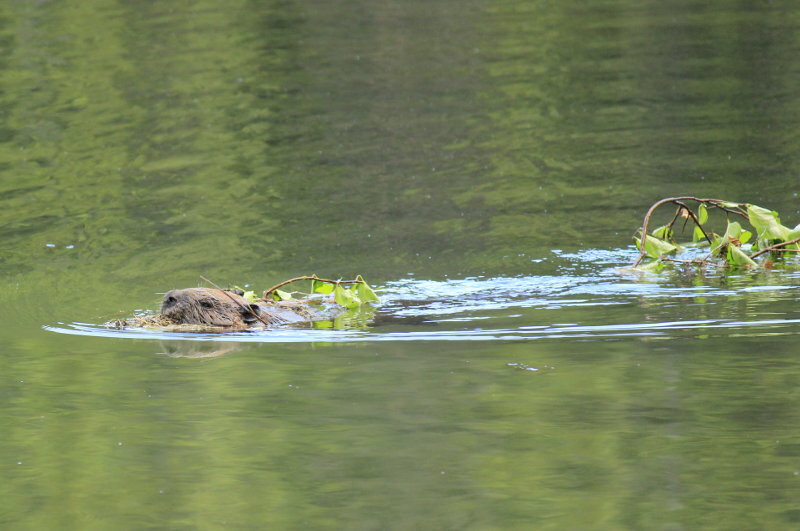 Beaver in Denali National Park on the Horseshoe Lake Trail. It was such a nice evening, armed with out mosquito repellent we took another drive to Savage River. 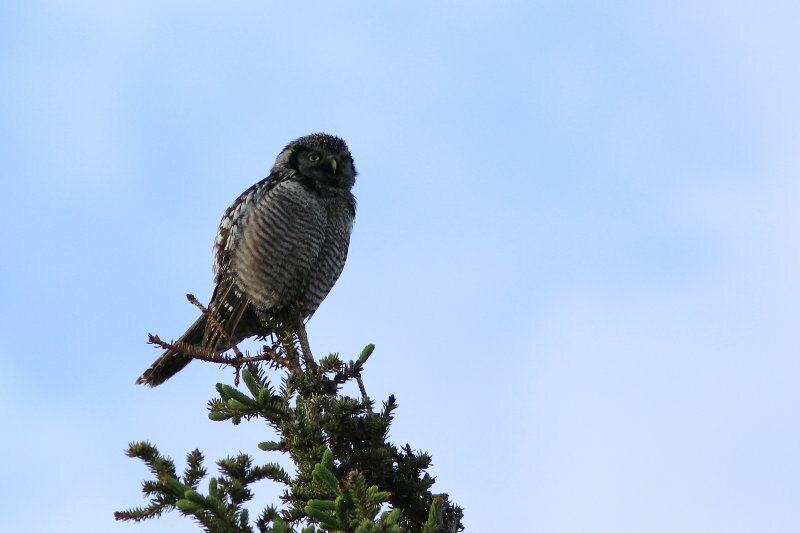 On our journey down to Savage River we came across this Northern Hawk Owl, superb. 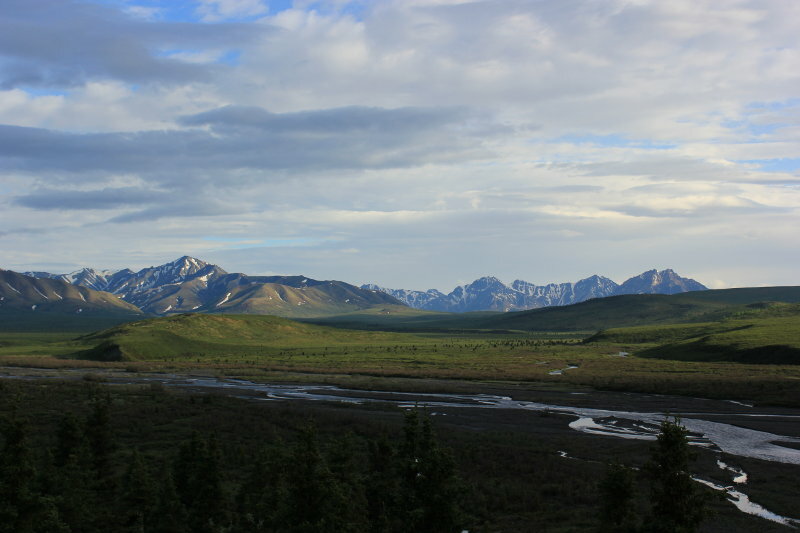 After a good nights sleep we headed north to Fairbanks and then down to Haines Junction in Canada! Check it out – here.